Membership is open to any attorney who represents parties in cases administrated by the U.S. Department of Labor. This includes, but is not limited to, those attorneys representing parties in cases arising under the Longshore & Harbor Workers’ Compensation Act or its extensions, Energy Employees Occupational Illness Compensation Program Act, Federal Employees’ Compensation Act, and the Black Lung Benefits Act. The attorney must be licensed by and in good standing with any state bar to be or continue membership with the Association. Members must self-identify their practice as either plaintiff or defense oriented, but not both. No member shall be limited in their participation with the association because of such identification; rather, it will be used for involvement in the caucuses and voting for the Board of Directors. A member can, at any time, change their designation. All members based on their self-identified practice will belong to either the defense caucus or the plaintiff caucus. The caucuses are involved with discussing issues, candidates for the Board of Directors and other topics important to the goals of the DOL-Joint Bar Association. Each caucus will be responsible for nominating, electing and deciding the voting rules for its caucus. The Association shall be governed by the Board of Directors. The Board shall consist of twelve (12) members in good standing with the organization, each called Directors. Of those twelve (12) Directors at least six (6) must have a legal practice dedicated to representing the interests of plaintiffs and the other six (6) must represent the interests of defendants. Of the Board of Directors, four members will be named officers: President, President-Elect, Secretary and Treasurer. Two officers must represent plaintiffs and two officers must represent defendants. The Board of Directors will elect its own officers, with the approval of the general membership. Each officer will serve a one year term. The President will chair the Board of Governors, preside at all meetings of the Members and have such further duties as delegated by the board of Governors. The President can call special meetings of the Board of Governors or the Members when necessary or upon petition of the two members of the Board of Governors. The President shall appoint all standing and special committees. The President will alternate between a plaintiff and defense attorney each term. The President-Elect shall perform such duties as are delegated by the President and shall succeed to the office of the President in the event the President is no longer able or willing to so serve. The President-Elect shall preside at meetings in the event of the temporary absence of the President, and shall automatically succeed to the office of the President at the end of the President’s term. The President-Elect will alternate between a plaintiff and defense attorney each term, and cannot have the same type of practice as the President. Only the President or the President’s designee is authorized to speak on behalf of the Association on matters affecting public policy. The President must confer and reach agreement with the President-Elect on such matters to ensure consensus between both the plaintiff and defense caucuses. The Secretary shall record any minutes of meetings or proceedings held by either the Board of Governors or the Members and shall perform such other functions as may be prescribed by law and as may be delegated by the Board of Governors or the President. The Secretary is responsible for certifying the results of any election or vote of the general membership. The Secretary shall keep a register of the Members of the Association and shall perform all duties pertaining to the office of Secretary. The Treasurer shall receive all funds due to the Association and shall immediately deposit them into such accounts opened and maintained in the Association and shall immediately deposit them into such accounts opened and maintained in the Association’s name. The treasurer shall keep all financial records of the Association, including a formal set of books of account for the current period; make periodic financial reports to the Board of Governors as may be required; prepare an annual report to the Members; serve as the Chair of the Association’s Financial and Budget Committee; and perform all other duties pertaining to the office of Treasurer. In the event that either the Secretary or Treasurer are unable to fulfill their duties either temporarily or permanently, the duties of these two officers may be combined until a special election is held or the officer is able to return to their duties. 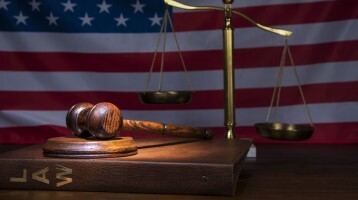 Each member of the Board of Directors shall have one vote; however, the Board cannot pass a measure because there are more plaintiff or defense attorneys. In order to ensure a consensus between plaintiff and defense attorneys, all measure must pass by a super majority of 75%. It shall be the duty of the Board of Governors to take the initiative in determining the policies of the Association. It shall be their duty to take charge, control and manage all property belonging to the Association. The Board, when and if required, is responsible for the using, hiring, discharging, and compensating a full or part time Executive Director of the Association, who shall serve as the chief executive officer of the Association. The Board shall keep a record of its proceedings and report thereon to the Members at each Association meeting. Directors will assume a six (6) year term. Elections will be held every two years, with four new Directors being elected in every election, except during the initial six years of the association. Of the four new Directors elected, two (2) of these Directors must have a plaintiff practice and two (2) Directors must have a defense practice. All Association Members will vote for the Director from the plaintiff or defense caucus, as they identified on their membership application. Nomination of new Director candidates will occur three months before the scheduled election and will be open for one month. Members can self-nominate or nominate any other Member. The nomination is an open process but the Board of Directors shall make all reasonable efforts to ensure attorneys from all parts of the country and all practice areas are represented on the Board. Election of Directors will occur at the Annual Meeting of the association. Of these founding members, two plaintiff and two defense attorneys will assume a six year term. The other two plaintiff and one defense attorneys will assume a four year term while one plaintiff attorney shall assume a one year term. The determination of which founding members take each term will be based on agreement of all the founding members. At the first annual meeting of the membership, nominations will be open for the remaining four (4) Board seats. One (1) plaintiff member and two (2) defense members will be for two year terms, with the other one (1) defense member assuming a four year term. The office of any director may be vacated by his absence from two consecutive meetings of the Board of Governors, without good and sufficient reason satisfactory to the Board of Governors. Such action may be initiated by the Board of Governors and shall be carried by a majority vote of the Board of Governors. When voting, the general membership has a total of 100 votes. The section of the membership self-identified as having a plaintiff oriented practice is entitled to 50 of those votes, and shall divide those votes equally among all plaintiff members. Likewise, the section of the membership self-identified as having a defense oriented practice is entitled to the other 50 votes, and shall divide those votes equal amount all defense members. General membership can vote to close meetings of the general membership. All other voting of the general membership must occur in caucus. The Board of Directors are the only members entitles to vote on policy issues. The Executive Committee will consist of the President, President-Elect, Secretary, Treasurer, up to three Past Presidents, and such other Members as the President may appoint. The Election Committee will consist of the Secretary, at least one non-officer Director, and such other Members as the President may appoint. With the Board’s approval, the Election Committee is responsible for creating election procedures and policies and executing the election of the Board of Directors, in addition to any other duties assigned by the President. The President is responsible for the creation of all other committees. The chairperson of the committee shall be appointed by the President, provided there are approximately equal numbers of chairs who are plaintiff and defense attorneys. All committees shall be dissolved upon completion of the appointing President’s term. The Board of Directors may compel the President to create a special committee upon a simple majority vote. Annual meetings of the Association shall be held at such place and time as designated by the Board of Governors each year. Special meetings of the Members may be called by the President or any three Directors, which shall be done by providing adequate written notice to all Members of the Association at least fifteen days in advance with a summary of the proposed business to come before the meeting. The Board of Governors shall meet at such time and place as shall be designated by the President. In any event, the Board shall meet or confer at least four times per year. Notice of each meeting shall be provided not less than 15 days in advance and contain a statement of the business to be transacted. All committees shall be subject to the call of their respective chairperson or the President of the Association.